Alright, so it looks like that you are someone who is facing an issue while connecting to a Network on your Windows PC. Well, there is a lot of time when things do not go too well with PCs running on Windows Operating System. 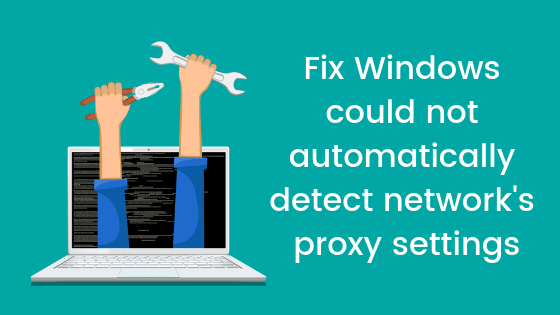 A lot of users recently reported that they are getting a Windows could not automatically detect network’s proxy settings error while trying to connect to a network. If you are also facing this annoying error where you can see a yellow exclamation mark next to the Network icon, then you are at the right place. Today, in this post, we would be covering on the topic, How to Fix Windows could not automatically detect network’s proxy settings. Now if that sounds interesting, let’s jump right into it. Should we? Here are some of our solutions which might help you in Fixing the Windows could not automatically detect network’s proxy settings error. With that being said, let us take a look at our first solution. 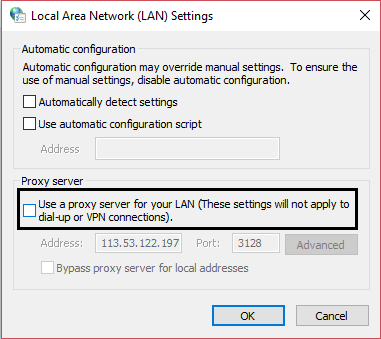 Unchecking the Proxy (Disabling) might help in fixing the Windows could not automatically detect network’s proxy settings error on a Windows PC. Here are the steps using which you can uncheck the Proxy option. First of all, you need to press the Windows Key + R keys on your keyboard to bring the Run Command Window. 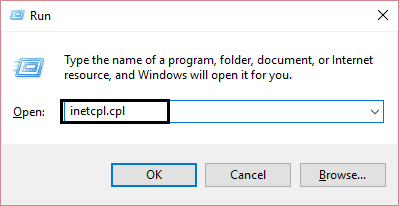 Now, type in inetcpl.cpl and hit the Enter key to open the Internet Properties on your Windows PC. Here, click on the Connections tab and then click on the LAN Settings button. Now, uncheck the option which says, Use a Proxy Server for your LAN and enable the one for Automatically detect settings. Finally, apply the settings and Restart your Windows PC. 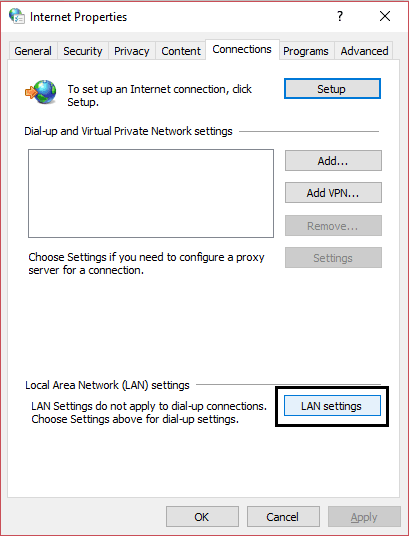 Did that fixed the Windows could not automatically detect network’s proxy settings error? No? Well, you can try using our next solution. 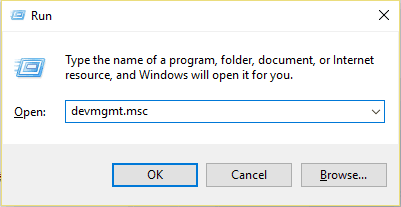 First of all, you need to right-click on the Windows Start Button and select the Command Prompt (Admin) option from the context menu. Now, type in each of the following commands one by one. (Hit enter after each line). Now, you need to again type in the following commands one by one. (Hit enter after each line). Once done, simply restart your Windows PC in order to make changes take place and to flush the DNS. 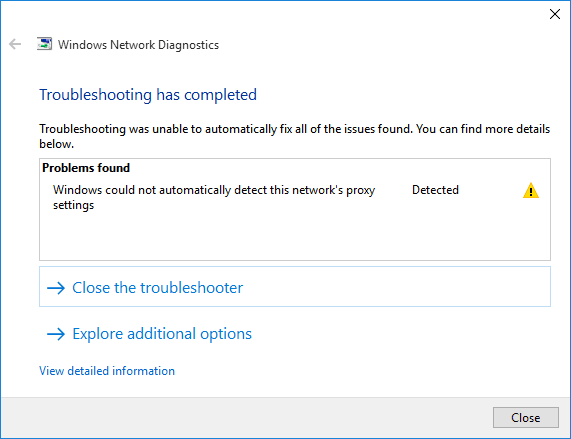 Does the Windows could not automatically detect network’s proxy settings error still persists? Well, if your answer is Yes, then you should try our third solution. First of all, you need to press the Windows key + R key at the same time. Now, into the run command window, type devmgmt.msc and hit the Enter key to open the Device Manager. Here, expand the Network adapters and then you need to right-click on your Wi-Fi controller (like Broadcom or Intel). 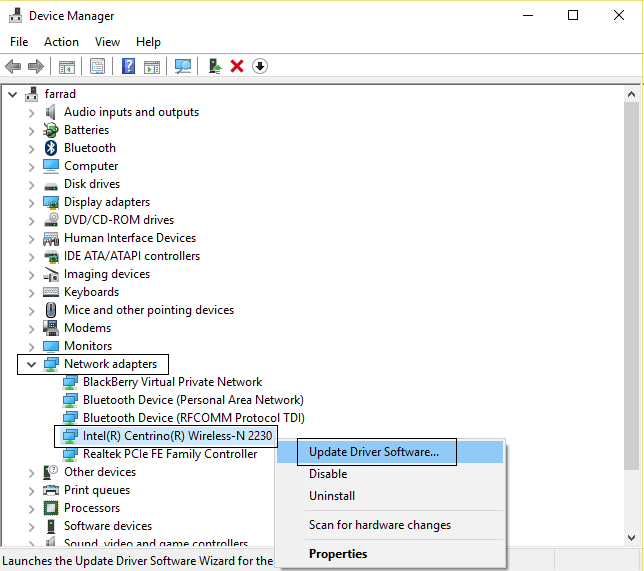 Now, select the Update Driver Software from the context menu. Click on Search automatically for updated driver software option on the next window. Wait for your computer to find the latest version of drivers and install them. Alternatively, you can also download the latest drivers manually and install it. If updating the device’s drivers does not work, then you can try our next solution to solve or fix the Windows could not automatically detect network’s proxy settings error. First of all, you need to press the Windows Key + X keys all together at the same time. 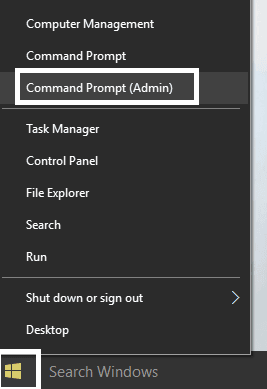 Now, select the Command Prompt (Admin) option from the context menu. Wait until the process is completed and you see a Successfully reset the Winsock Catalog message on the screen. 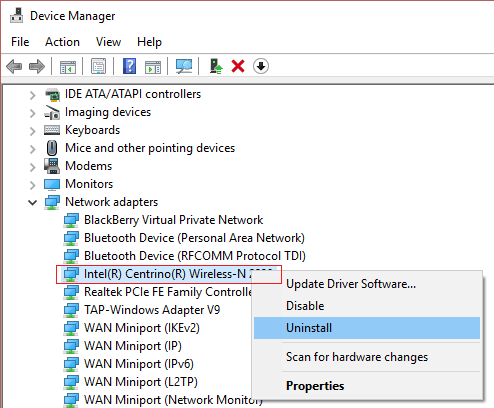 Let us now take a look at another solution to fix Windows could not automatically detect network’s proxy settings error. Should we? Now, select the Uninstall from the context menu. Wait for the uninstallation to get completed. So that’s it guys, this was our take on How to Fix Windows could not automatically detect network’s proxy settings. We hope that this post helped you in fixing the error. Just in case, if you still have some queries, then feel free to leave them in the comments section down below.